You are invited to help the Visalia Classing Office Celebrate a huge milestone of 50 million bales classed. The open house also includes a tour of the cotton classing operations. 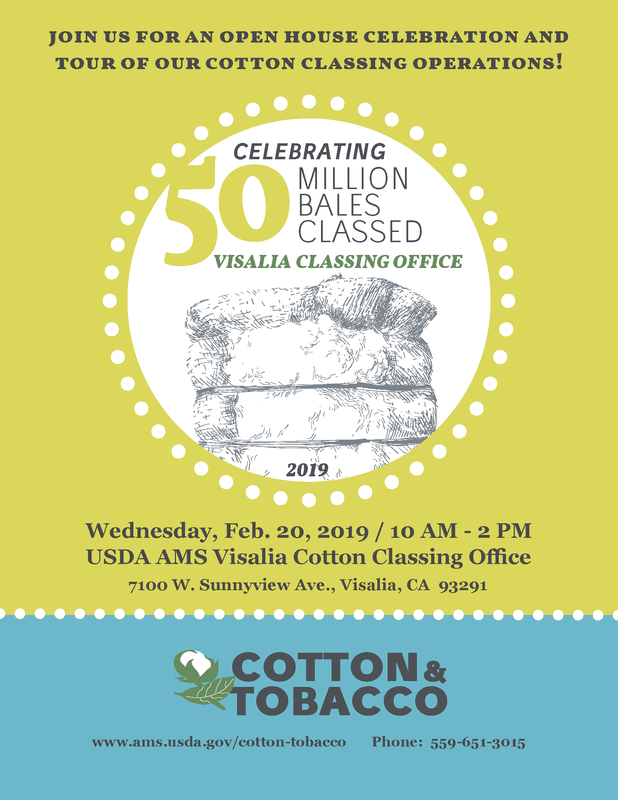 The event will be held at the USDA AMS Visalia Cotton Classing Office on Wednesday February 20th from 10 a.m. – 2:00 p.m. For more information see the attached flyer below. This entry was posted in NEWS & ISSUES on February 7, 2019 by ccgga.